Its important that you proactively respond to online reviews, whether they are positive or negative. Admit it, when you want to find out about a new restaurant or service, you Yelp it. Or look at Google reviews or Angie’s List. Then, depending on the cumulative “star” rating from a bunch of strangers, you decide whether or not to become a customer for the first time. The same can be said of clients looking for a new advisor. They may have referrals from a friend or associate but it’s likely that they will scan your website and then check any comments that appear in conjunction with your name or firm. If you are perfect, you have nothing to worry about. Ratings powerhouse Nielsen says that “consumer opinions posted online” are the third most trusted source of advertising with a global average of 68% (up seven points from the previous survey) of respondents ranking it behind “recommendations from people I know” (84%) and “branded websites” (69%). The fluidity and real time aspect of being able to research online can be intoxicating. To ignore that this is an actual way that people decide who they might consider for an advisor is naïve. Online reviews aren’t going away so your best response is learning how to respond. Yelp is built on consumer reviews. However, it also provides helpful tips to business owners on how to respond to positive and negative reviews which are worth noting. When contacting a positive reviewer, your purpose should be simply to deliver a human thank you and let them know you care. That’s it. No gift certificates. No mailing lists. No event invites. No reactions to the minor complaint in their review. No requests for them to tell more friends about your business. Establish a genuine human relationship by contacting the reviewer – which may even change a customer’s perspective. Keep your message simple: thank the person for the business and the feedback. If you can be specific about the customer’s experience and any changes you may have made as a result, this could go very far in earning trust. 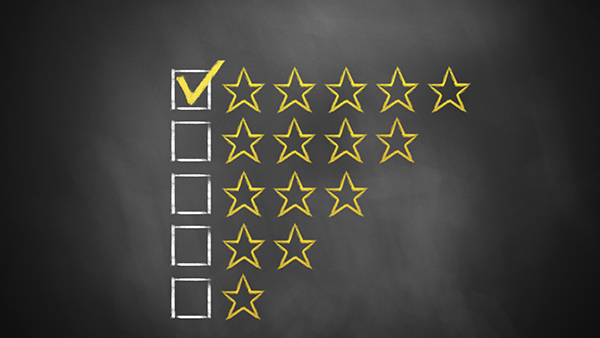 It’s important that you proactively respond to online reviews, whether they are positive or negative. Genuine, thoughtful responses go a long way in shaping the image of your practice and reaching future clients.